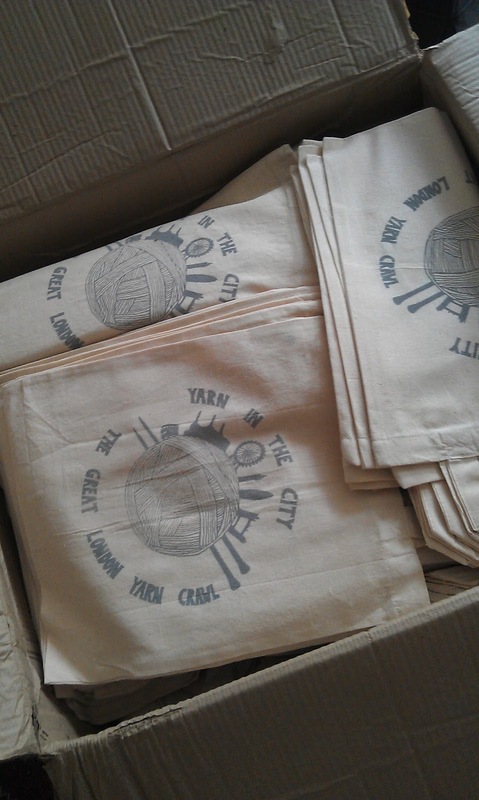 What wonderful projects will these bags hold? This is just a teaser - since we can't tell you EVERYTHING that you'll be getting in them! But we've been thrilled to connect with a super awesome, UK indie-dyer about her yarn (more on that in the coming weeks!). What we CAN tell you about these bags is that they were made in the UK by a great company we discovered called BIDBI. BIDBI stands for Bag It Don't Bin It and they are an eco-conscious, fair-trade company committed to paying a living wage and while keeping that in mind have given us a great deal on the bags, knowing that all net proceeds from the GLYC event will be benefitting Refuge. Click here to learn more about their ethical commitment. While on her travels this summer Allison has been collecting treats for these bags from the good folks at Soak and Knitty for our participants, and more great prizes keep rolling in! 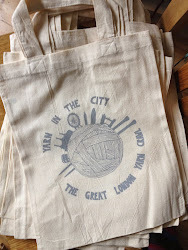 But of course, you can only get one of these awesome project bags if you're registered as a participant, so make sure you get yourself and your friends signed up soon!